Les feuilles, as I like to repeat into Lulu’s ear, making sure she notices the melody of the French word. It’s one of my things, to repeat words and notice how they sound. I love the way the word Feuilles sounds in French. It sounds soft. It sounds light. The essence, after all, of what leaves are. It’s amazing to watch how nature is moving along so quickly these days. Changing in a snap before we realize, with one day not looking a bit like the preceding one. One morning, we have leaves on top of the trees, and the next day, we wake up to colorful carpets of leaves that cover side walks and gardens. Leaves scattered everywhere. Keeping homeowners busy. Racking. And making stacks of leaves. And us, playing and jumping in them. It didn’t take long for Lulu to manage that skill really well. We showed her once, and minutes later she was jumping in too, laughing heartily. So we did it again. And again and again. And again. Feeling warm from the jumping up and down. Up and down. Feeling hungry from being outside in the brisk air. I had forgotten how sweet it feels to jump in a stack of leaves. Did you too? And then to grab a bunch between two hands, raise them in the air before letting them go–and watch them as they fall slowly on the ground. There was so much laughter last weekend when we played in the leaves. I thought about it and imagined that walking back inside and find spiced pumpkin petits pots de crème would feel just like what we needed. So I followed my idea and baked petits pots de crème. I’ve shared with you already my weakness for petits pots de crème. Made with vanilla. Or chocolate. My mother is the one who taught me how to try my hand at them first when I was a young girl. Years later, I’ve experimented with lots of different variations. For us, les grands. And for Lulu, l’enfant, whose love for these creamy desserts is equaling the love her maman has for them too. Telle mère, telle fille, non ? This recipe, in particular, is a favorite. The batter is made of pureed red kuri squash (but I am sure canned pumpkin would equally work, and be very convenient), eggs, sugar, milk and heavy cream, with flavors of ginger, cinnamon and nutmeg. 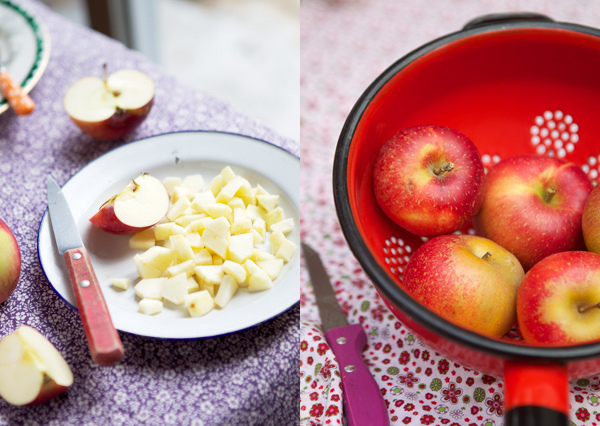 The dessert can be eaten plain, or served with small pieces of Heirloom apples sauteed in butter and vanilla. And chopped pistachios for crunch and color. Which is what we had. Soft like the way a stack of leaves feels under the palm of the hand. Steam the squash with the vanilla bean until soft. Puree; set aside. 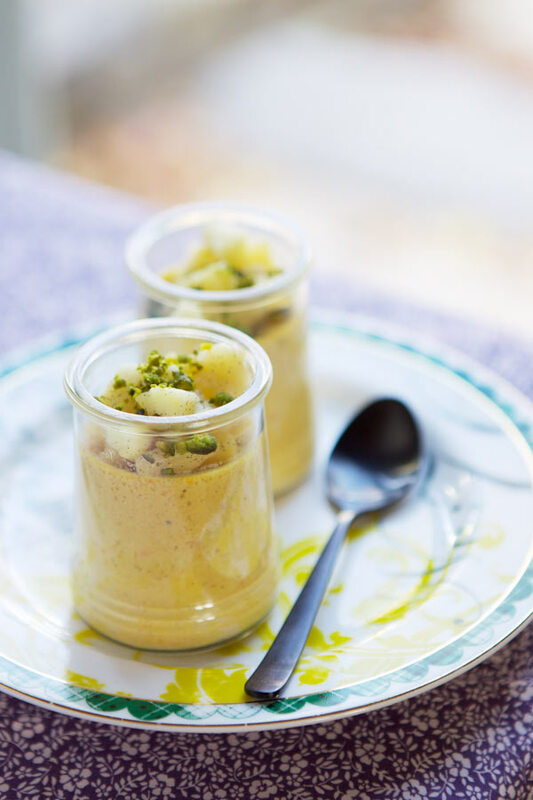 Preheat the oven to 320 F and have six small glass jars or tall ramekins ready. In a bowl, beat the eggs with the sugar. In a pot, heat the milk and heavy cream with the rest of the spices. Stir in the pureed squash. While stirring, pour the warm milk batter into the egg batter. Divide the batter between the jars. Bake the creams in a water bath for 30 minutes, or until the center of the creams is set. Remove them from the water and let them cool on the counter top. Refrigerate for the creams to set completely. In a frying pan, melt the butter over medium heat. Add the apple and sugar and vanilla bean and seeds. Cook, stirring occasionally, until soft (about 5 minutes). Set aside. 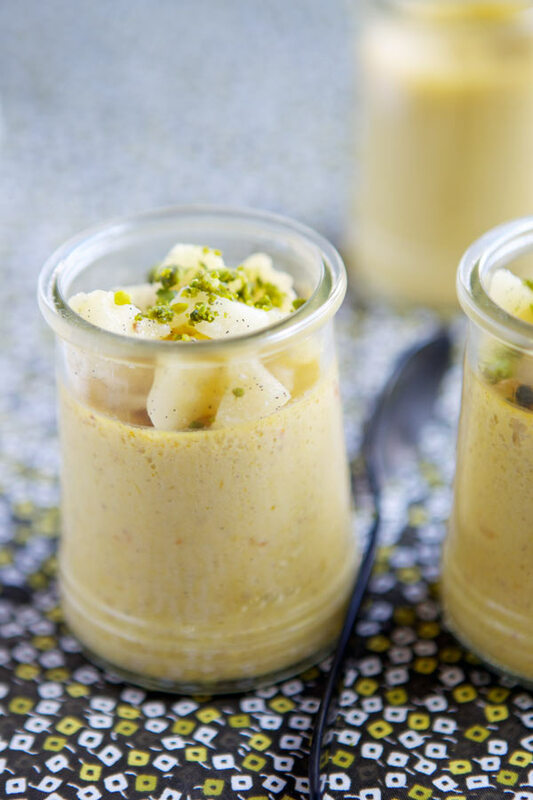 To serve the dessert, top each cream with the apples and pistachios. Je ne me lasse jamais de vous lire (même si je commente peu, un peu noyée). J’aime votre façon de mélanger l’anglais et le français, comme des touches d’exotisme dans une recette. Et j’adore votre cuisine, si simple et savoureuse, mais familiale, toujours. Et vos photos sont toujours magnifiques… Je n’arriverais jamais à capter aussi bien la lumière, comment faites vous pour que ce soit toujours aussi parfait ?! Wow! Cette recette est une ode à l’automne! Superbe! Mioddio! It should be mine, NOW! Wow, are those pink leaves for real? They’re beautiful. It’s recipes like this one that make the return of the cold tolerable, even welcomed for a little while. Thank you! My daughter loves saying “feuilles” too. As we live in northern Vermont, “neige” is becoming more and more appropriate these days! This sounds wonderful – perfect for darker autumn evenings. Oh boy! those crèmes look delicious!!! I wish the colors of the leaves here changes too! Those pots de creme look so comforting, exactly what I need as the weather gets colder and colder! Lovely recipe, I like pumpkin creme, in fact I prefer pumpkin in sweet recipes! I want to jump on the leaves too. Beautiful. What childhood dreams are made of! I love your little jars! Adorable! I finally just made my own chocolate pots de creme – amazing! Now I must try pumpkin. Yum! Not that I don’t love the recipe, because I do…. but those glass jars… they get my head spinning with joy… where did you get them? Hello everyone. Many thanks all! Those leaves are incredible indeed. And the colors are just like that. New England is completely surreal when it comes to the change of season. I am completely in love with it. And fall here. Wsamrazik, these glass jars are yogurt jars I recycled and brought back from France. I always do whenever I go back. What a perfect autumn recipe! I’ve found it extremely difficult to find kuri squashes around here (we Finns aren’t such a pumpkin nation I guess) but I was able to track down some butternut squashes which are waiting in my fridge for a lovely recipe inspiration. I wonder if they would work in your pot de crémes? Love the colours of these pictures, it’s beautiful. …also wondering if I can subsitute U.S. heavy cream with normal European whipping cream? Bea, I think in your homemade baby’s food post you mentioned in a comment that you used some recycled yogurt jars, which I also have. Do you think these jars are suitable for this recipe or should I use ramequins? No pink feuilles where I live but plenty purple Jacarandas! Lovely! I make a dairy free version with coconut milk instead of cream. 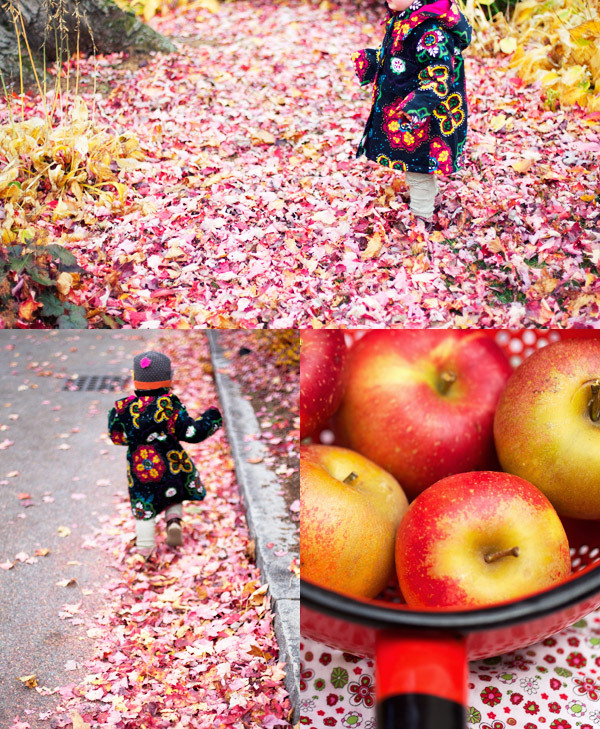 Beautiful autumnal photos. OH MY! 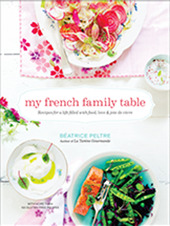 Making this weekend… and I always have trouble saying “feuilles” as I learn my French but I love the word too. Je découvre grace à une amie française et je suis sous le charme…merci! ravissante cette robe de feuille… merci pour ces photos d’une luminosité exceptionnelle! Ahhh!! Comme il est joli l’automne, ce tapis coloré, Lulu doit être très contente à jouer avec les feuilles. Les couleurs des photos sont géniales. J’adore les épices et ce petit pot a l’air d’une régal! I love your stories just as much as your recipes.. keep it up! Magnifique cette recette! Et quelles jolies couleurs d’automne! Mention particulière au manteau du bout de chou parfaitement en accord avec la saison! These look delicious. Yours is one of my very favorite blogs. 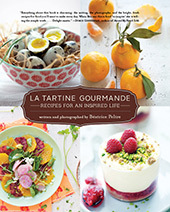 I just love checking in to see what you are cooking up… and your photography is stunning. I especially admire the discretion you show in presenting your family and your stories… all beautifully captured in both words and images, with delicate restraint. Je découvre votre blog au travers de celui de “pensées de ronde” et j’aime beaucoup. Les photos sont superbes! I love the addition of pistachio in this recipe. Just enough crunch to balance the creaminess. Tout simplement delicieux! again, cute lulu is the star in this blog (aside from the recipe). im starting to love the use of cinnamon and other spices to sweet dishes. simply delicious. These look and sound absolutely delicious! Can’t wait to try them soon, thanks for sharing! And good work with your blog – I recently came across your site and love what you’ve got here! I love pumpkin, it’s the most versatile ingredient! these pots de creme look incredible! I have a kuri pumpkin happily awaiting a delicious fate…this could be it. I love that you incorporated apples and pistachios…and was just reading a great article about Heirloom apples making a comeback in Eastern US states. This was a perfectly seasonal, beautiful post- thanks for sharing. 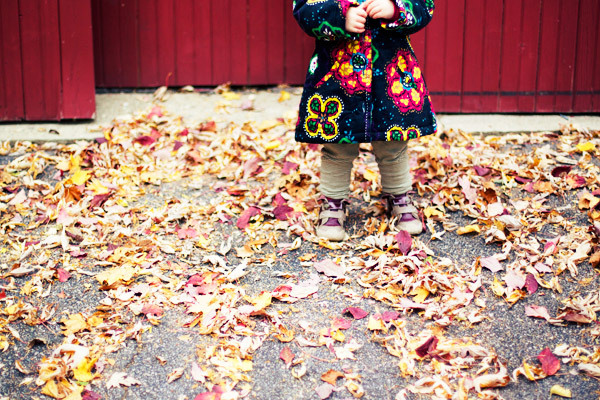 wonderful shots of the autumn leaves & her cute little coat!! oh, so festive! Me ha encantado tus fotos y tus recetas. I love literally everything about this post….not least of all that ADORABLE coat! Oh, the colours of the leaves! Her beautiful jacket! The words and atmosphere and imagery … I am once again SO enchanted. Thank you, Bea. You do have a great touch of style when presenting the images on your articles. I love the combination of colors. Plus the fact that you provide great information on your articles. I love spiced pumpkins, by the way. The jacket is the most delicious part. But the pot de creme looks mouthwatering too. The leaves just pop, fab contrast with her coat, and the barn.. oh.. swoon!!! 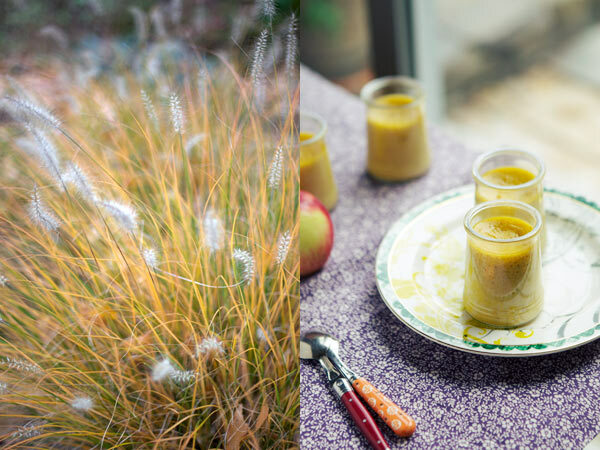 I just found your website, and I am in love with the photography and the colors in your food and textiles (and leaves!). I will definitely be trying your pots de creme recipe – Thanks! 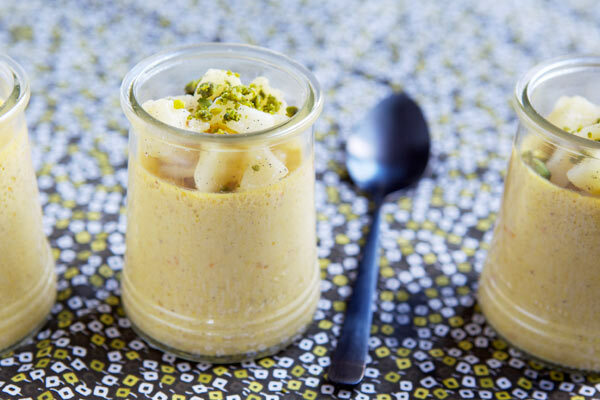 I’ve just tried to make your pots de crème (with canned pumpkin) and it’s to die for! I have guests tonight, but I am not sure I can resist eating all my pots de crème before they get here… Thank you!!!! Dr Caso, I am really happy to hear. I hope your guests enjoy them too! Oh, how I have missed visiting you while in India! I just read through all that I have missed and am feeling completely inspired to nest, cook, and hit the farmer’s market next weekend! Pots de Creme are a definite fave of mine, especially anything pumpkin! I love this pots de creme at this place in the Lower East Side, NYC. It’s one of the best places to eat in New York , but this looks JUST as good! YUM – thanks! A mouth-watering recipe. wow!!!!!!!! !that´s fantastic congratulations. I was hoping you could help me figure out what I did wrong with this beautiful recipe. The pumpkin sank and the top 1/4 of the pot had the milky creme. The flavour was great but I have never had a pot du creme separate like that. Hi Rebecca, so sorry to hear. And thank you for sharing. Perhaps a problem of temperature of ingredients when they were mixed? Or not whipped enough? I am trying to get an idea as I’ve not had a similar problem before…..
Really like your spiced pumpkin pots with sauteed apples recipe. My Grandma used to make this… It was so yummy.